Tonight is the grand opening of Hullabaloo, the new gastropub and craft cocktail bar in downtown West Palm Beach, but the party started early with a sneak preview for invited guests last night that definitely put the staff to the test. 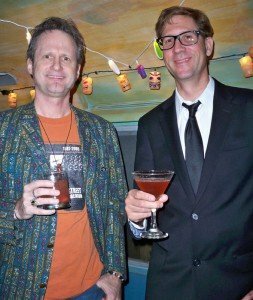 The small 1,700-square-foot space in the 500 block of Clematis Street that was formerly home to The Lounge was packed to the gills for most of the night as the many friends and associates of owners Rodney Mayo and Jon Elu enjoyed free drinks and small bites. One guest described it as “The Lounge meets Kapow,” which is as accurate a description as any. 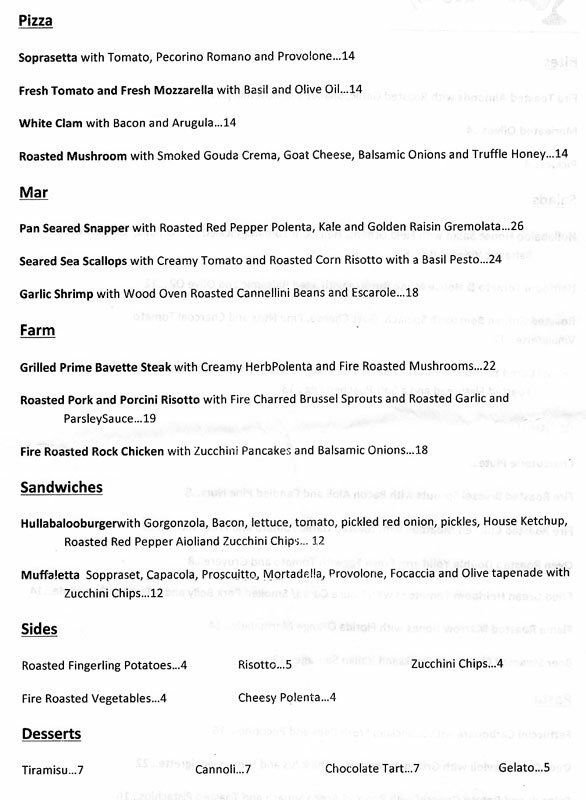 The owners have taken the somewhat generic Lounge format and jazzed it up with a creative food and drink menu, just as Mayo and his partners did at the cozy spot in Boca Raton that houses Kapow! Noodle Bar. Guests at Hullabaloo were greeted last night by classic jazz and ragtime music performed on keyboards by a solo musician just outside the front door. 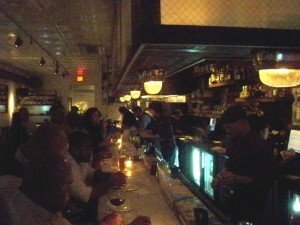 The music was also piped into the bar, complementing the vintage vibe. Within hours, the party had spread to the half-dozen tables on the sidewalk. The interior is dark and inviting, featuring white brick walls and dark wood throughout the long and narrow room. Patrons filled tables of various sizes and lounged in large leather booths. The decor was still lacking its distinctive photos of the late musicians who grace the names of the cocktails, but Mayo promised they would be in place for tonight’s opening. The only negative was a large flat-screen TV that didn’t seem to fit the vibe. Hopefully they plan to use it to show classic movies. Later, we adjourned to the back patio shared with neighboring Longboards. Having these two creative bar/restaurants sharing space will greatly enhance both, and also lead to some unique experiences. More than a dozen of us escaped the crowd and took our Hullabaloo party to the cozy and kitschy Airstream trailer parked behind Longboards. 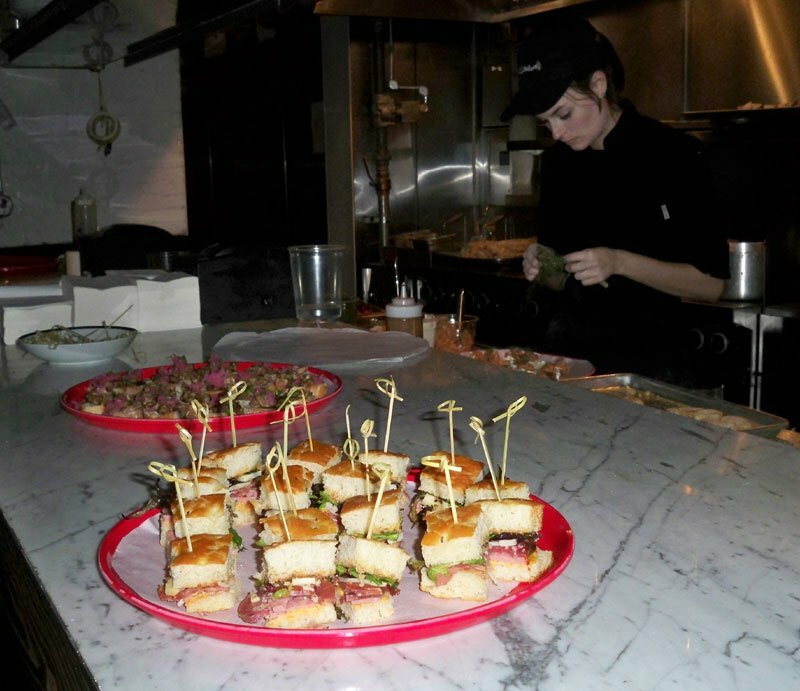 Meanwhile, it was controlled chaos inside as more than a dozen bartenders, chefs, and staff kept the high-quality food and drinks flowing nonstop. It should be noted that they were not merely shoveling bar food and simple cocktails. Gourmet pizzas were constantly going in and out of the wood-burning oven to accompany Hullabaloo’s menu of 11 complex specialty drinks. Chef Fritz Cassel and his staff moved at a constant, deliberate pace as everything they and the wait staff presented to the hungry guests was eagerly gobbled up. Besides the pizza, we sampled a few meatballs and a finger sandwich that was most likely a version of the Muffaletta that appears on the full menu. Everything tasted fresh and well-prepared despite the mob scene. While the kitchen moved with a restrained intensity, the bar staff led by mixologist Brett Collins spun like whirling dervishes to satisfy the thirsty crowd. Craft beers and wine were flowing briskly, along with standard mixed drinks. But the original craft cocktails, all containing multiple obscure ingredients and many calling for muddled fruits and vegetables, were the stars of the show. None that our group tasted was a disappointment. I’d give the bartenders an A-minus for their work considering the crowd level and their unfamiliarity with the recipes. Halfway through the evening, as the crowd grew larger and fresh ingredients became more scarce, the specialty cocktails stopped flowing. I’m sure that on a more laid-back night, this crew will have the opportunity to shine even more. 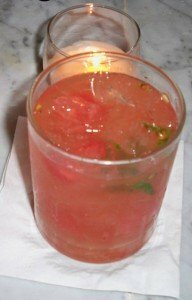 Two drinks stood out amid the chaos: the Tupac, an intense and highly complex sweet bourbon cocktail; and the Hutchins, a fiery tequila concoction that tempers the heat with mint and muddled watermelon. I was also impressed by the Mercury, a sophisticated and refreshing gin cocktail. One of our group enjoyed the Holiday – a mashup of vodka, cucumber, lemon and mint. The mixologists were free-pouring, but they seemed to be very accurate when judged by their final products. The drinks were well constructed and balanced, though garnish often fell by the wayside. My overall menu critique also must point out the glaring lack of a craft rum cocktail … or two. We also were happy with two of the craft beers that were offered on tap, including one from the Due South brewery in Boynton Beach. Below is a more detailed look at the three cocktails I sampled. 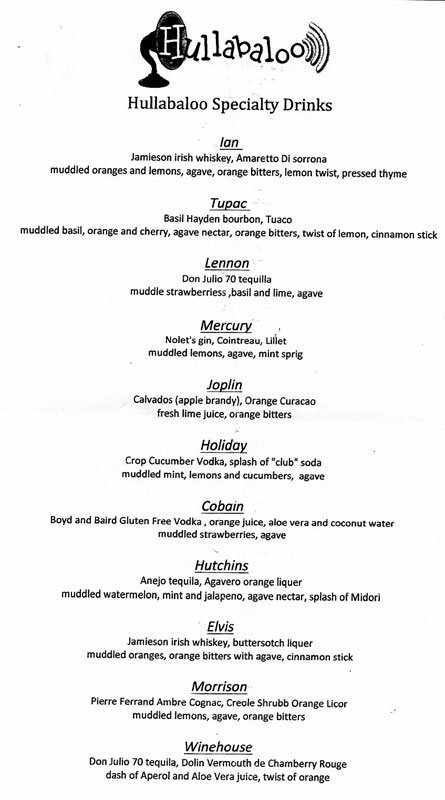 Note that all the specialty drinks are named for some of the most dearly departed legends of music who met untimely fates (Morrison, Lennon, Cobain, et al.). My favorite was the Tupac (Basil Hayden’s Bourbon; Tuaca liqueur; agave nectar; orange bitters; twist of lemon; muddled basil, orange and cherry; cinnamon stick), which contains some of my favorite flavors (orange, vanilla, cinnamon). Basil Hayden’s is a light, small-batch bourbon from the Jim Beam distillery that goes nicely with the spicy bite from the bitters and cinnamon. Tuaca is a sweet Italian liqueur with vanilla notes, a nice crafty touch. The muddled herbs add more complexity and depth to the flavors. I enjoyed it served straight-up, strained into a martini glass and garnished with crumbled cinnamon sticks. It was later served to someone in our party on the rocks, which seemed to water down the intensity a bit. Follow your preference, but I know I’ll revisit this one straight-up to appreciate its full impact. Hurricane Hayward (left) and Skinny Jimmy (from South Florida surf band Skinny Jimmy and the Stingrays) enjoy cocktails in the Airstream trailer behind Hullabaloo. The Hutchins (anejo tequila; Agavero Orange Liqueur; agave nectar; splash of Midori; muddled watermelon, mint and jalapeno) was a roaring hot yet fruity burst of flavor. Sip this at your own risk, though I’m guessing the recipe will be adjusted to dial back the jalapeno. Once the right balance is achieved, this should become a favorite of tequila cocktail fans. The Mercury (Nolet’s Gin; Cointreau; Lillet; muddled lemons; agave; mint sprig) was in perfect balance and recalls a classic gin drink. Nolet’s is a bit fruitier than typical dry gin, and it mixes well with the orange and lemon flavors here. It was served on the rocks and went down very smooth with a refreshingly complex aftertaste. On future visits I’m looking forward to other creative cocktails, such as the Elvis (Jameson Irish Whiskey, butterscotch liqueur, orange, cinnamon) and the Winehouse (tequila, vermouth, Aperol). 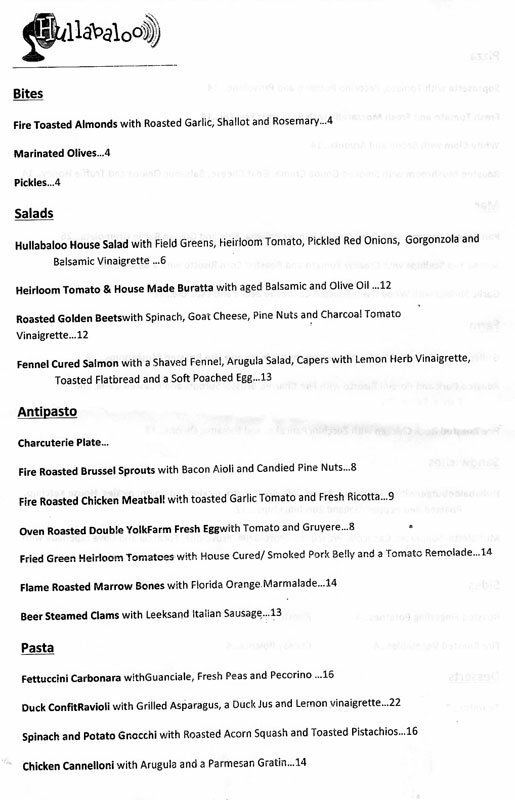 From the looks of the menu and our initial samples, Hullabaloo is shaping up to be Clematis Street’s answer to the crafty food and libations of Boynton Beach’s Sweetwater Bar & Grill. It’s a welcome addition. Hullabaloo, 517 Clematis St. in West Palm Beach, is open from 5 p.m. to 2 a.m. daily, 3 a.m. on weekends (late Friday and Saturday). A couple weeks after the grand opening, plans call for lunch and Sunday brunch service starting at 11:30 a.m., corresponding with the hours of Longboards. For reservations, call (561) 833-1033 or (561) 655-9747 or book online. 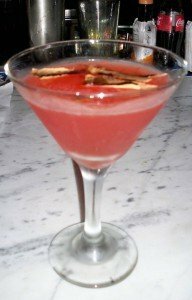 This entry was posted in Cocktails, Events, Events, Food, Restaurants, Reviews, South Florida and tagged Clematis Street, cocktails, craft cocktails, Hullabaloo, Longboards, Rodney Mayo, South Florida. Bookmark the permalink.